Lenovo has launched the K4 Note, now known as Vibe K4 Note, in the Indian market. The phone is priced at INR 11,999 ($180) and will be available on Amazon through a flash sale model starting January 19, 2016. 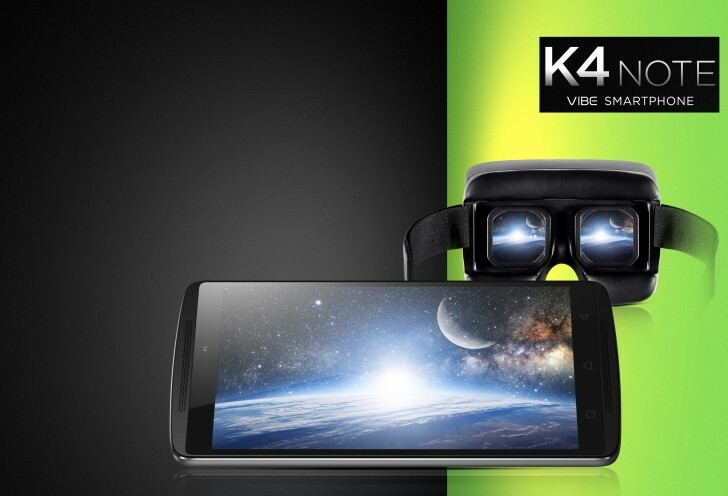 The Vibe K4 Note is a mid-range smartphone, slotted above last year's K3 Note, which continues to sell. It has a 5.5-inch 1920x1080 LCD with Gorilla Glass 3. Powering it is the MediaTek MT6753 with a 64-bit octa-core CPU and Mali T720-MP3 GPU. There's also 3GB of RAM and 16GB storage with microSD support. The phone comes with Android 5.1 out of the box. The camera on the back is 13 megapixel ISOCELL with phase detection autofocus, f2.2 aperture and two tone LED flash. On the front is a 5 megapixel sensor. The phone has dual 1.5W speakers on the front with Dolby Atmos surround sound effect. For headphone users, there's Wolfson WM8281 audio codec. On the connectivity side, the phone has dual micro SIM support with LTE, Wi-Fi 802.11ac, Bluetooth 4.0, and A-GPS. There is also a fingerprint sensor on the back. Along with the phone, Lenovo is also including a feature called TheaterMax, which turns any multimedia content into 3D VR when used with a VR headset. I want to buy a lenova k5 note . How is that...??? hand set is not user friendly..